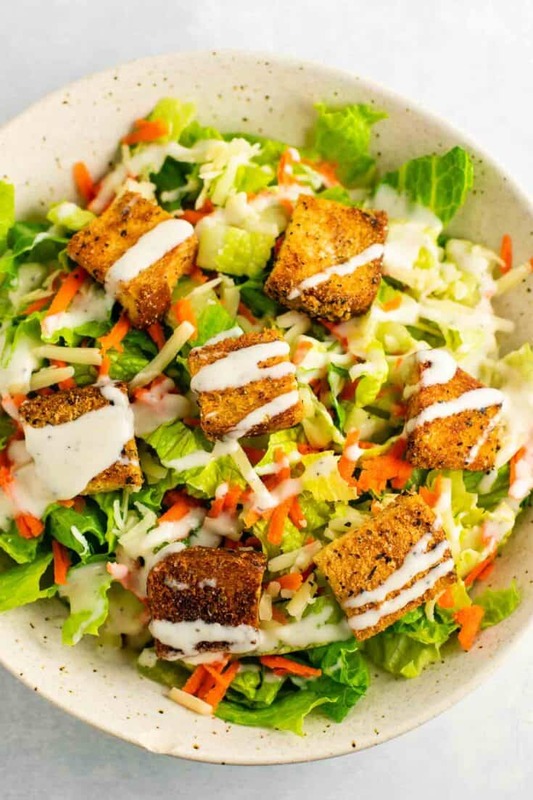 Croutons are something that I love to make for an easy way to add extra flavor and crunch to my salads. Let’s be honest, sometimes they are the best part. 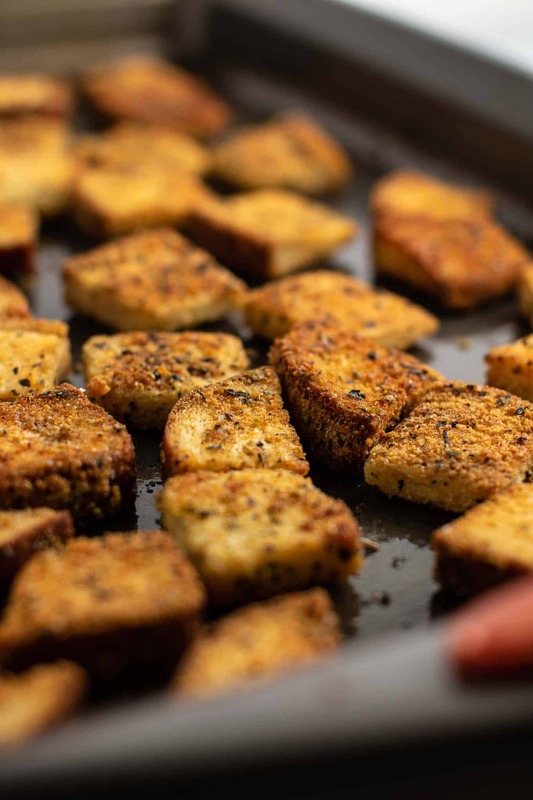 This recipe is so simple to make, and taste so much better than store bought croutons! All you need is 4 cups of your favorite bread, cubed, a few simple spices, and olive oil! 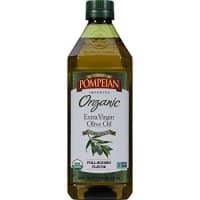 My favorite way to eat these are on a big chopped romaine salad with chick’n nuggets, carrot shreds, fresh grated sharp cheddar cheese, and chipotle ranch dressing. I’m telling you, it is absolutely delicious! Why have boring salads when you can make them taste incredible at home?! 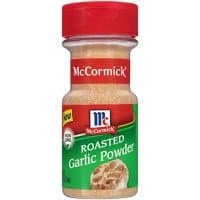 This recipe makes around 4 cups of croutons. 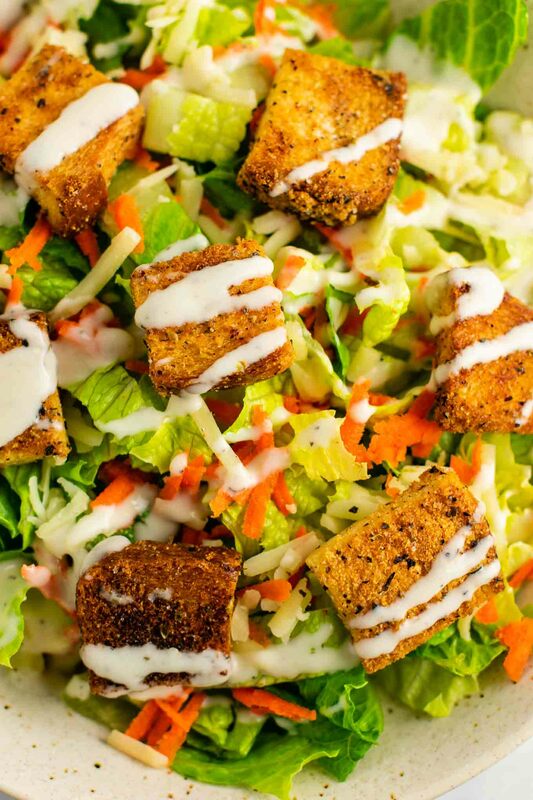 We love extra croutons on our salads! The cook time will depend on the type of bread that you use. Pretty much any bread will work – whole wheat, gluten free, white bread, baguettes, etc. Just keep an eye on it closely to make sure the croutons get nice and crispy without burning. Some breads are faster to crisp up, while others will take a bit longer. Just keep flipping/checking on the croutons every 5 ish minutes, and more often once they are almost done. The flavor is great with pretty much any salad, so the yummy dinner possibilities are endless! 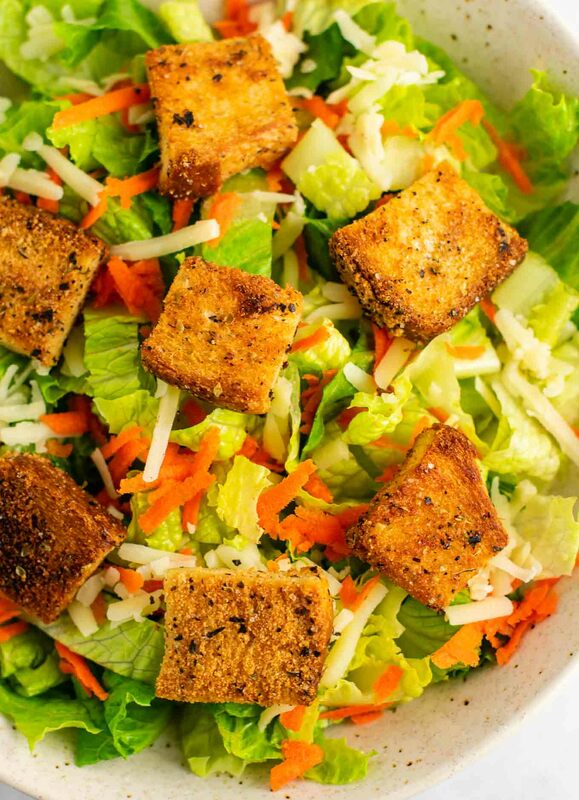 Do you have a favorite salad combo? Let me know in the comments! 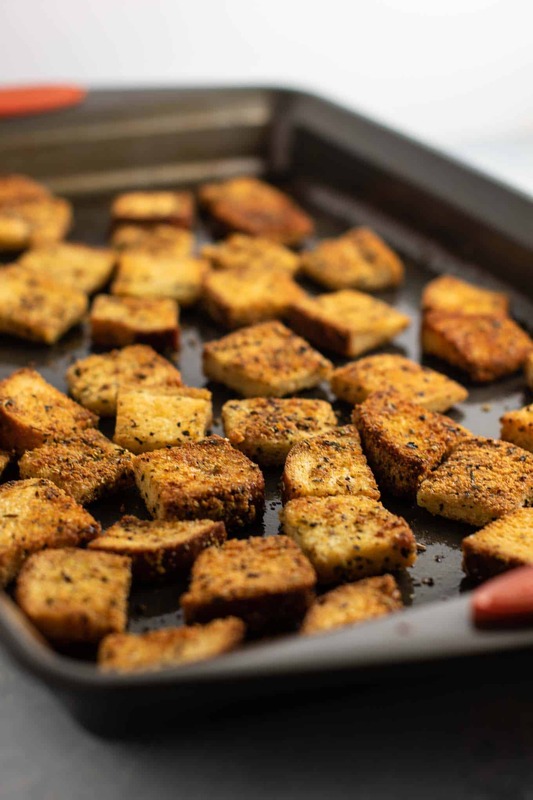 I love making homemade croutons! They’re such a good way to use up bread that’s going stale. 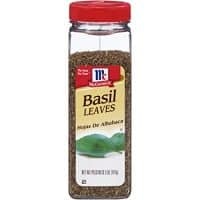 And the perfect topping for any salad. Yummy! Yes, perfect for using up those leftovers!